Roger Payne ... ‘Freeman of the City of London’... is a well-known London-based entrepreneur, hospitality expert and philanthropist with a background in licensing law, financial consultancy and high level catering. 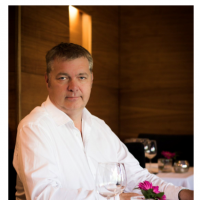 Alongside being CEO and Founder of the consumer facing brand, Camden Dining, Roger is also CEO of trade roll-up organisation Enhanced Hospitality Ltd.
Roger’s holistic approach to fine dining establishments, where, under one umbrella it is possible to control every element of a business as well as for the customer to enjoy just a drink, a snack at a bar, a full dining experience or a complete evening including entertainment and/or dancing at any one of his venues. From reservations, event management, staffing requirements, to an unbelievable database of over 500,000 customer names and addresses - essential for data capture, offers and reward schemes - Roger is able to mastermind the advocacy, strengths and opportunities for each of his award-winning businesses. Renown for his direct approach to business allied to a keen sense of humour and compassion, Roger lives with his lawyer wife, Lesley, between their homes in London’s fashionable Borough district and the Cathedral city of Canterbury. For the past 14 years his abiding interest has been in developing his popular internationally renowned venues: The Cuban (www.thecuban.co.uk) , Shaka Zulu (www.shaka-zulu.com) and Gilgamesh (www.gilgameshbar.com). In 2017 he created and built Gabeto Cantina which replaced the final Cuban venue of his former latino chain. Styled by global architects Keane Brands, this venue heralded the first of many acquisitions that year.